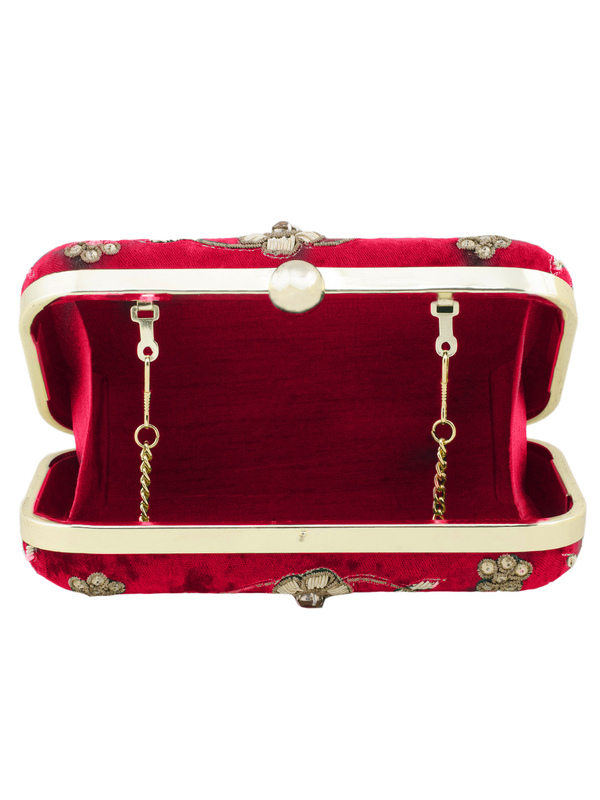 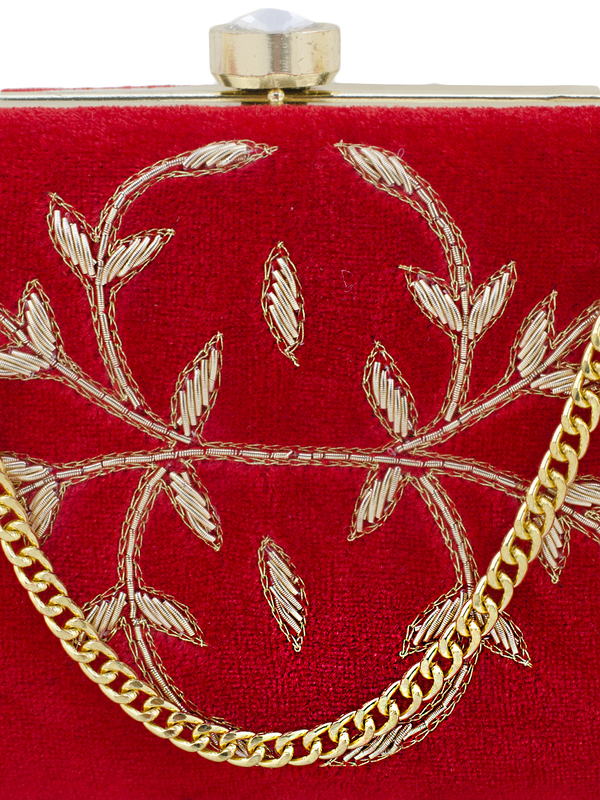 Inspired by the timeless beauty of flowers, adorn this attractive deep red Minaudière and make a statement. 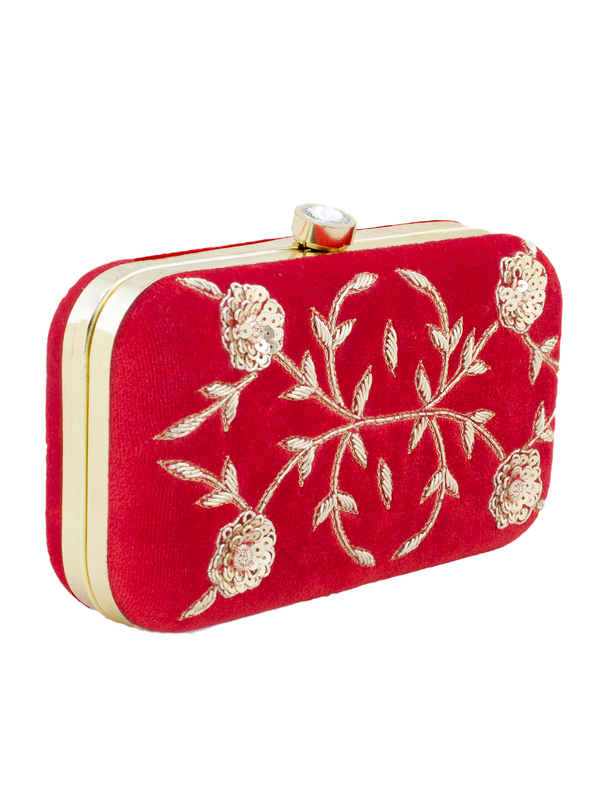 This elegant and striking design has been handcrafted in rich gold Zardozi, sequins on both sides against a deep shade of red. 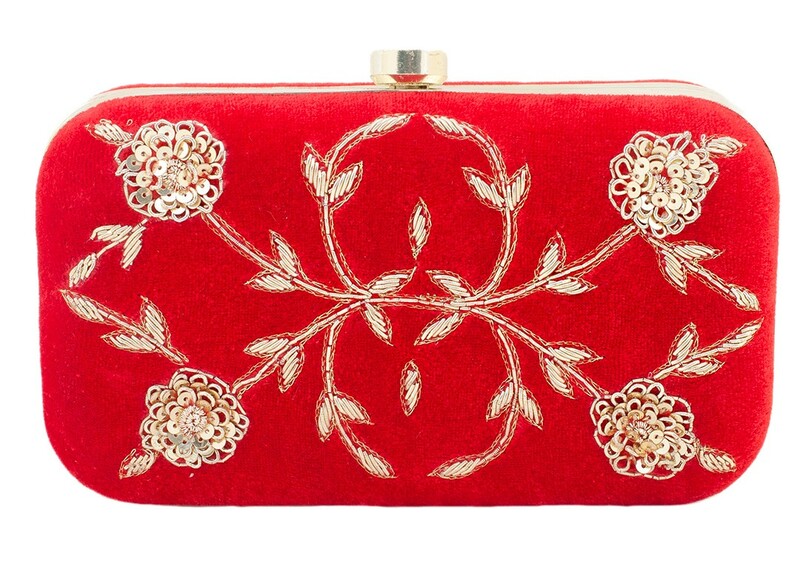 Ideal to carry with an ethnic or Indo - Western outfit!